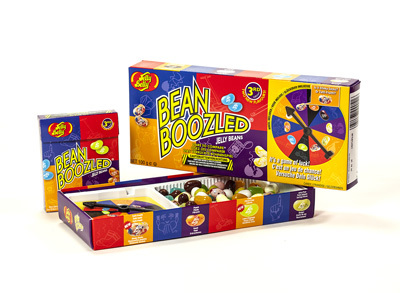 Jelly Belly Candy Co have just released their Third Edition of BeanBoozled jelly beans. If you don’t already know, these are a collection of 16 look-alike flavours of jelly beans: some are so crazy they are not to be believed, while others are the delicious Jelly Belly beans we have come to know and love. A proliferation of You Tube videos testify to their slightly fanatical popularity. What are the choices? Canned Dog Food and Baby Wipe flavours are twinned with scrumptious Chocolate Pudding and Coconut. Yummy Tutti Fruitti and the not yummy Stinky Socks are another flavour duo. And there’s Vomit or Peach. Truly. Either way, they really do taste shockingly authentic. The beans look identical and every bite will be a surprising dare. Halloween Heaven if there is such a place. There are over 100 true-to-life Jelly Belly jelly bean flavours. With their intensely juicy taste, made from the finest ingredients available, every single bean can take up to 21 days to create. 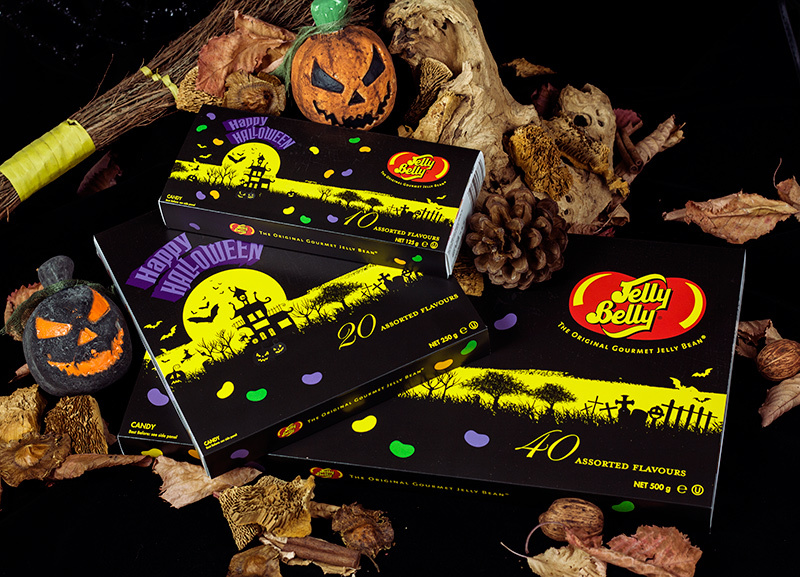 For a special scary treat Jelly Belly Candy Co have wrapped their much loved 10, 20 and 40 Flavour Gift Boxes in an eerie, spooky sleeve. Perfect for those wanting to enjoy their Halloween lite! Each Jelly Belly jelly bean contains just 4 calories and is free from fat, wheat, nuts, gluten, dairy and gelatine. They are certified OU Kosher and are suitable for vegetarians.